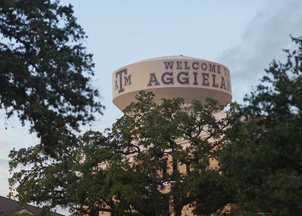 No charges will be filed after an incident at Texas A&M University in which black high school students touring campus reported being subjected to racial slurs and taunts, the university said Wednesday. University police said in a statement that they closed their investigation into the Feb. 9 incident after interviewing several witnesses, including the high school students and teachers on the tour. One Texas A&M student allegedly approached two of the high school students and told them to look at her Confederate flag earrings. According to police reports released Wednesday, other A&M students shouted, “Go back where you came from,” and used a slur. But several Texas A&M students denied using or hearing the slur, or shouting anything at the tour group other than, “Howdy,” a common greeting on campus. One student acknowledged heckling a high school student about wearing a University of Texas backpack — a reference to A&M’s biggest rival. No video of the incident has emerged. “We have no proof of who may have said it,” wrote a local prosecutor in a report released Wednesday as part of the police investigative file. One student has left the university since the incident, Texas A&M President Michael K. Young told The Associated Press on Wednes­day. But Young declined to say whether the student was expelled or if any others were disciplined, citing a federal law on student privacy. About 90 miles outside of Houston, Texas A&M is one of the largest and most prestigious universities in the state. Its student body is just 3.4 percent African-American, and black student leaders have described hearing insensitive comments on campus and in online forums. The university has announced several programs in response to the incident. All incoming students will now attend mandatory seminars on diversity, and student group leaders will be required to undergo training on “conducting effective dialogues and meaningful conflict resolution,” Young said in a letter to students. University students also organized a campaign to send thousands of handwritten apology notes to the high school whose students had been touring campus. Young said he hoped to reach everyone on campus, particularly students who might not want to discuss diversity or racial insensitivity on their own.